Last weekend, for grad school, I wrote a paper for my Ecopsychology 2 class with Dr Craig Chalquist about Two Trees. Those quotes above are the epigrams from it. And somehow I found that writing about Two Trees, I wrote about the Ventura County Fair, the Mission, and my great grandparents. They are related but you’d have to read the whole paper to see how. It’s pretty convoluted, but you can get an idea from a few paragraphs about the fair below. 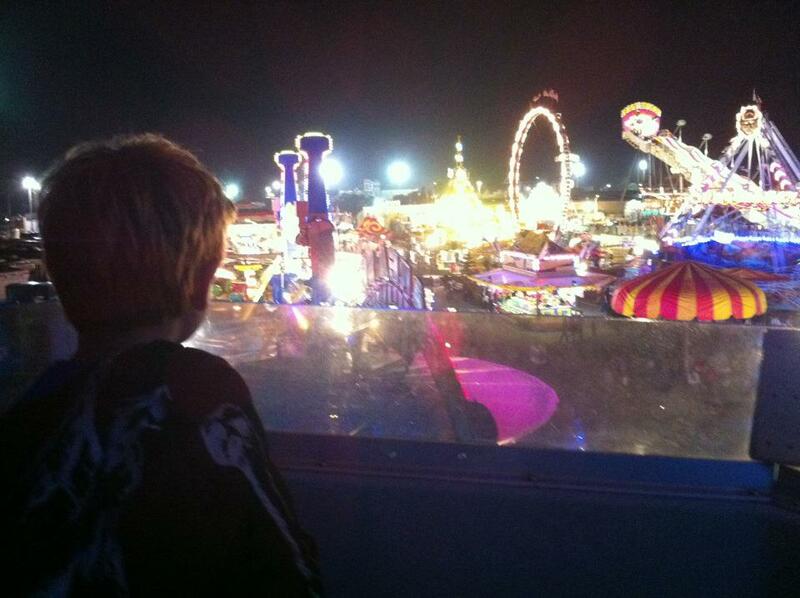 And instead of hiking up to Two Trees during a spectacular sunset, I just wrote about the history of Two Trees –and the Ventura County Fair–from my couch. But before I share those historical tidbits, I want to share a few of my best fair secrets. If you go into the Fair, definitely check out the professional arts and the photography exhibits and next door are the table settings. Yes this is an old fashioned fair for sure! My favorite place is always the horticultural exhibits. I love seeing the creativity. 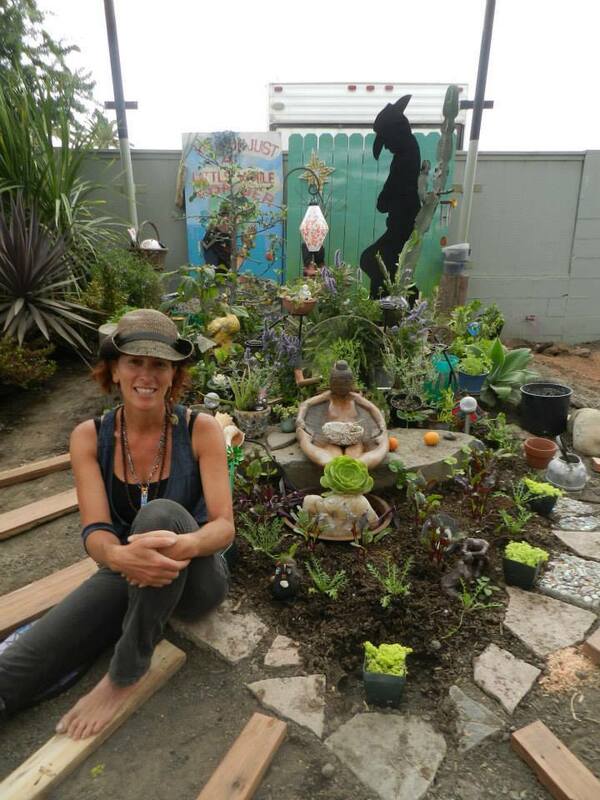 This year, my friend’s Lynne Okun, Sol Ramon, and Blooming Garden all have projects on display, Here’s Lynne with a memorial garden. What a wonderful way to commemorate a loved one. I look forward to seeing it in person! you can ride your bike along the promenade almost to Surfers Point and have a picnic and BYOB and not worry about the crowds or spilled beer or exorbitant beer prices or crowds or ringing ears and enjoy the ocean and dance and it’s all FREE! Join my family and I tonight Tuesday August 6 at 7:30pm along the Promenade for Hall and Oates! The story goes that my great grandfather Elmer Ellsworth Paquette lived in Hobo Jungle as caretaker of Seaside Park and the Ventura County Fairgrounds in the 1920s. The fairgrounds are located at the conjunction of the Ventura River and the Pacific Ocean where the Chumash lived in a large village named Mitsquanaqa’n and held their fall equinox harvest in honor of Hutash and the New Year, not far from the Mission San Buenaventura. The Mission is named for Saint Bonaventure,; he in turn was named following an exclamation of “O Buona Ventura!” (oh good fortune!) when St Francis of Assisi healed him as a child. Saint Bonaventure is known as a philosopher as well as a theologian who argued that philosophy could lead to God and that “all creatures, from rocks to angels, are signs in the sense of shadows and traces of God, for they all bear a relation of causal dependency upon God as their source” (Noonee and Howser, 2010). As the Missionaries took over the region, they noticed the festival for Hutash was held about the time of the year as the Feast of San Miguel–on September 29. To compete, instead of celebrating the mid-July feast day of Saint Bonaventure, the Mission San Buenaventura held a major harvest festival in honor of San Miguel. San Miguel is the name of one of the Channel Islands which can rarely (if ever!) be seen from Ventura while Rancho San Miguel was a 4700 acre Mexican land grant in 1841 to the Olivas family that covered all of Ventura except for the Mission rancho. As the protector of all Christians on Earth as well as in purgatory, San Miguel or Saint Michael served as a psychopomp, accompanying the soul to heaven or hell; because of this, cemetery chapels are dedicated to him (Weiser). It was a practice of the Church to build shrines to Saint Michael on the tops of mountains; the logical site for such a shrine in Ventura would be the site of Two Trees. Synchronistically, Sexton planted his thirteen trees during the period of the Mission’s modernization, just before my family rode into town on a wagon. As the town became more secular, the celebration of harvest took place at the county fair starting in 1874 and held concurrent or immediately after San Miguel Days until commercial and tourism interests dictated the fair’s move from late September to early August. So c’mon down and celebrate with us! The shows start around 730, last until 9 or 930, then the fireworks are at 10pm during the week and 10:30pm on the weekend.